Here are seven great fiction books with life lessons that will help you in your walk with Christ. The Book “Madeline,” by Ludwig Bemelmans, was written for children but this book can help us to accept ourselves as we should accept others. It is a story of courage as Madeline faces an operation, an appendectomy that might frighten children and perhaps, most adults, so it teaches that we must be brave in the face of uncertainties and to be transparent and not hide our scars but proudly display them as a badge of honor in life. What a great lesson to instill in our children and grandchildren but one that we adults need to take to heart. C.S. Lewis’ “The Lion, the Witch, and the Wardrobe” isn’t just a standalone classic written by an excellent author; it is a lesson book for life. In fact, it’s not just one book “The Lion, the Witch, and the Wardrobe” are part of a series of books, seven in all. The series is entitled “The Chronicles of Narnia” and within this series, there is the story of the lion, representing the King, the Lion (Aslan), symbolic of the Tribe of Judah and takes place while the family takes refuge from World War Two. The children, in seeking justice, end up as part of the ruler ship of Narnia, becoming kings and queens; much like Christ has “made us a kingdom, priests to his God and Father, to him be glory and dominion forever and ever. Amen” (Rev 1:6). One of two greatest life lessons I learned from the fictional book, “The Great Gatsby,” by F. Scott Fitzgerald, was that money cannot buy you friends, as Gatsby tried to entice and win the favor of Daisy by smothering her with lavish gifts but it didn’t work, and tragically, those who partied with Gatsby were nowhere to be found at his funeral. All the money he had made illegally couldn’t buy him any real friends any more than it can buy him happiness. Happiness does not depend on possessions but is a choice of the will. We can’t control circumstances but we can control our thought life and our attitudes but it also shows that dishonest gain proves useless against the day of our death. Not one more minute can our money buy. Even though this is a children’s book, it contains a valuable lesson for adults. The lesson is that things just happen and like the Bible says, “time and chance happen to all men” (Eccl 9:11) and so like the children should understand, so too should we realize that there will be some days when just about everything goes wrong. It doesn’t mean God is punishing you or that you are reaping the consequences of your actions, but sometimes it’s just “because” just as the author, Judith Viorst indicates in the book. The book “A Pilgrim’s Progress” by John Bunyan, written in 1678, is a Christian allegory about the Christian life. It is still one of the bestselling books of all time having been translated into over 200 different languages. The main character, “Christian,” is the focal point of this book. We walk with him through the Christian faith encountering the seasons of doubt, fear, and exhaustion. When he cannot persuade his family to flee the City of Destruction, he goes by himself but Obstinate and Pliable go after him, trying to reason with him to give up and go back to the City of Destruction but Christian refuses. Later, he falls into the Slough of Despond when fear, anxiety, shame, doubt, and temptations threaten to hold him fast. It is only by the aid of Help that is able to escape, perhaps an allegory of our cries to God when He can pull us out of the pit of self-doubt, pity, sin, guilt, shame, fear, and discouragement. This book, “The Hunchback of Notre Dame” was written by Victor Hugo, is a book about the anger over social injustice. There injustice in the church, in the states leadership, and in the citizens themselves. Corruption had reached an all-time high in the setting and there is only a mob mentality on the streets. Quasimodo, the perceived villain, is seen as evil and an enemy because of his severe disfigurement but the truth is, Quasimodo is a lot like we are; he only wants to love and to be loved. The book, “The Secret Garden” by Frances Hodgson Burnett contains a wonderful lesson for children but a very important one for adults to know. One of the characters is considered to be disabled for life (Colin) but Mary doesn’t see anything as being permanent. She doesn’t like things being put in a box or limited and so teaches Colin to walk, and later, run and play like the other children. The lesson is that disabilities do not mean “dis-able” or “not able” to do some things. Mary influenced Colin to believe that limitations do not confine his abilities. 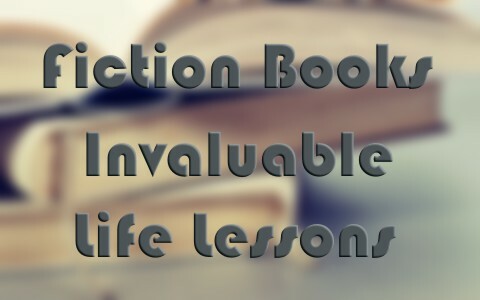 What book(s) would you suggest to be on this list of great fiction books with invaluable life lessons? Are there some books that you think helped your walk with Christ? Which books have most influenced you as a Christian and why? Of course the greatest book ever written and still the bestselling book in human history is not fictional and it doesn’t have a human author; it is the very Word of God and every Word in it is inspired by God. This Book of books contains the most valuable of lessons we’ll ever need, and that is, first and foremost, God’s desire that we repent and put our trust in Christ. When you do that or if you’ve already done that, your life story will not have a happy ending but even better, it will be a joyous story without end. Previous post: Who Were The Philistines During Bible Times?